If Warwickshire Police are to explode into the Twitter market, it's worth taking a look at the evidence from West Midlands Police (in Coventry). From their Social Network Links page, they list 23 twitter accounts (I know there are many more). On the left, we have the main five accounts. Inspector Alastair Orencas (@coventry_police) has been on twitter for 793 days, has made 1,627 tweets (average 2 a day) and has 1,054 followers. He is the pioneer. What emerges is the need for Social Media like Twitter. Of the 23 accounts, they have an average of 236 followers. WMP Coventry have made 4,327 tweets. I prefer to use the term FMCC - a Fast Message to Contact their Community. Each account has been open on average for 357 days. If Coventry has a population of 309,800, just imagine what Warwickshire can do with it's population of 535,100. One estimate could be (in a year from now), 40 twitter accounts, making 7,474 tweets (FMCC) and 9,384 followers. Come on Warwickshire. 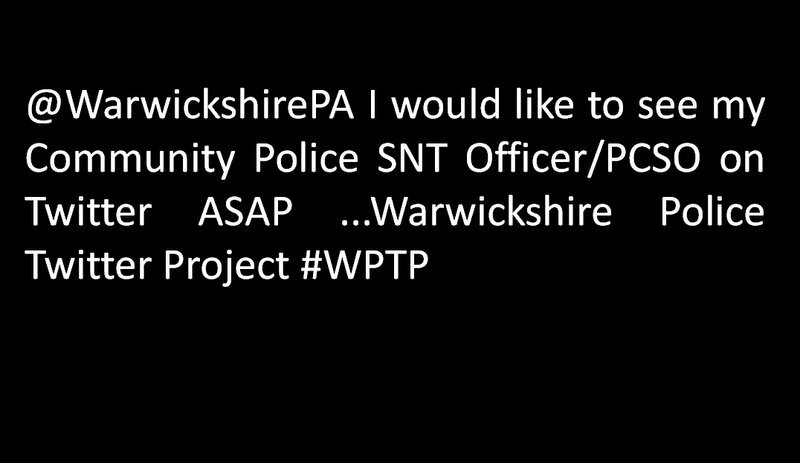 Open letter to the Warwickshire Police Authority... I’ve made some posts at www.whatsinKenilworth.com about the new Warwickshire Police Twitter Project #WPTP. With the WPA’s agreement, the project could progress at a very fast rate (and already has national interest). Please accept this letter as an invitation join the conversation and I look forward to hearing from you. I will be contacting all the WPA twitter accounts as this will be a very fast way to spread the word. Insightful Twitter use from West Midlands Police - All in a day's work..
Kerry Blakeman is the Chief Inspector of West Midlands Police responsible for 18 dedicated neighbourhood teams and five response teams at the Coventry (LPU). Tweets from Kerry show a diverse range. They show how influential a Chief Inspector can be with twitter. 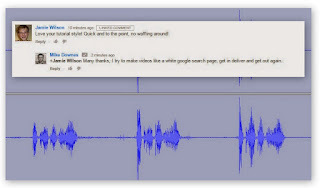 Kerry's already a contributor to whatsiKenilworth where WM Police have been using Twitcam to engage with communities as well as Audioboo and the BBC. A great example of Kerry reaching parts that other tweeters cannot reach is this: @WMP_Helicopter if any of you guys have a smart phone any chance of pics from the sky? But not from the pilot! (24 April, 6.31pm). 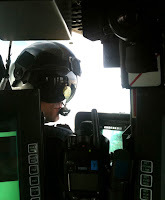 A few hours later from the clouds: Front seat observer: A number of responsibilities including navigation and camera operation. http://twitpic.com/4p2qah (24 April, 9.06pm). Then: @WMP_Helicopter superb pic - great to see, I look forward to seeing some scenic views of the West Midlands from the air also (9.13pm). This was also linked with Wolverhampton from the air. 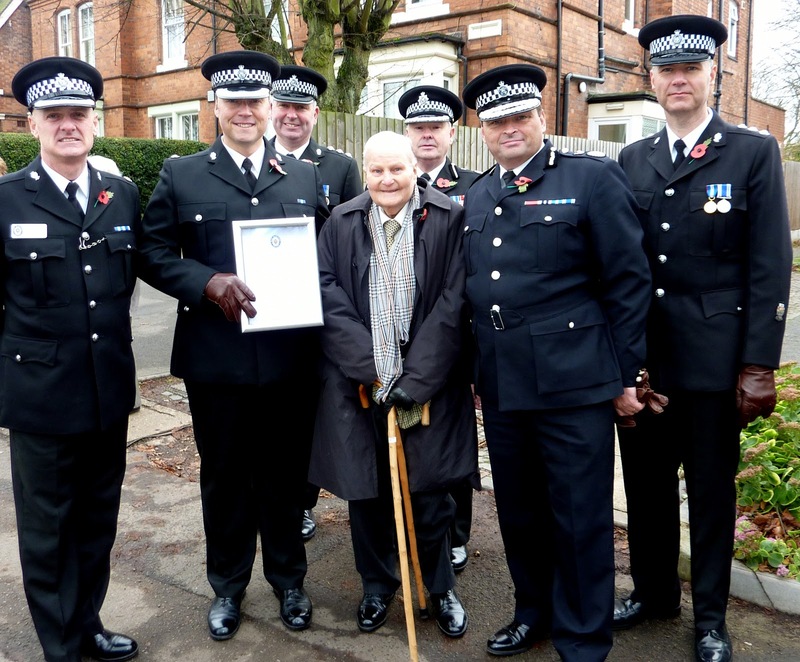 A Chief Inspector can tweet about well deserved news as well: Len Dacombe who served in the Blitz as a Special receives a certificate from the Chief Constable. I'm on the right http://twitpic.com/36tngq (see photo top left) (14 Nov, 2.24pm). And the magnificent simplicity of Kerry's tweets is how often you see what Kerry sees: Parade now at Broad St, Pacing ourselves #samosaoverload http://twitpic.com/4ovxof (24 April, 12.23pm). Kerry Blakeman as @kerryblakeman joined Twitter on 24 October 2009, has made 475 teets, follows 335 and has 544 followers. Great work - keep it up. There seems to be a storm brewing and by choice I am in the middle of it. I've been asked to respond to a statement made by Carl Baldacchino (see name spelling note at base) (on 31 March 2011 at the WPA website). When I attended the Police Authority meeting four days ago (Carl Baldacchino was also there), I listened as members spoke of the need for communication to be at the top of the list. The more I read the answer by Carl, the more I believe it is two years out of date. This comes at a time when Police are investing in People not Buildings - you do not need to be at a Police Authority meeting to know that. It's common knowledge across all areas of the County Council. My suggestion is there are some Control and Trust issues at work here. The more you try to control people - the less you trust them. The solution is for someone, very quickly, is to announce an open season on Twitter. With only one rule - talk to the public on Twitter as you would normally talk to the public in the street. That's it (I wish I was the first to say that - but I'm not). Whether this statement can come swiftly from the Chair of the Warwickshire Police Authority or from the Chief Constable it does not matter (to the public). What matters, is the public should feel their police force and visible, engaged and each officer is contactable by the fastest and most up to date method available. It's like Warwickshire Police saying they will only use the letters in the post when the telephone has already been invented. If you think this is not true - try using twitter to get a hold of MPs on trains, the BBC at midnight and County Councillors at 3am. It all works and is lightening quick - I know as I've done it and it works. If anyone needs a demonstration, just ask. Please accept this post as an open invitation for Carl Baldacchino to open a personal Twitter account and join in the conversation. For those of you who are reading this late, it's Easter Sunday, the shops are shut, few people are at work - but the rage of twitter activity carries on. Even a West Midlands Police Dog called Smithy has a twitter account - and he has 1,996 followers. Come on Warwickshire - this is a great County. Why does your Police Force not appear to be represented using Social Media? 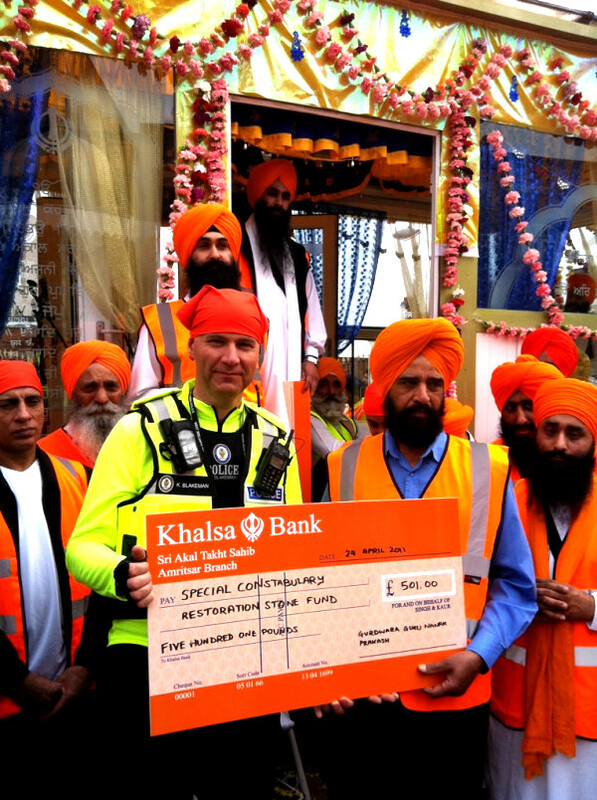 The Warwickshire Police Authority is but the Police Force appears not to be. Warwickshire Police does have a facebook page, through which we communicate information about our activities, including appeals and campaigns. We do also use viral marketing for specific campaigns. We have chosen not to use Twitter on a regular basis at the current time, but do employ it in relation to specific events or operations. We have to prioritise our communications activity to ensure that it does most to address our force priorities and contribute to protecting people from harm. We have shifted our operations significantly towards social media and away from 'traditional' marketing activity during the past twelve months. Name Spelling Update (7.51am 25 April 2011): It seems there are spellings Carl Baldacchino and Carl Baldachinno from police web pages and the internet. I assume each spelling refers to the same person. Carl himself wrote his name as Baldacchino in my notebook, but I include both versions in this article to avoid wider confusion. Simon Shilton is the Coventry Fire Command Operations Commander. So how does he use Twitter? Brilliantly - that's how. What makes the tweets of Simon Shilton interesting are the three layers of story telling. Whether this is by clever design or just a natural gift I cannot say (I will find out though). In my view, the three layers consist of the professional (official), professional (unofficial) and private (but shared). From these elements, we have a whole picture of a Fire Commander - all by twitter. 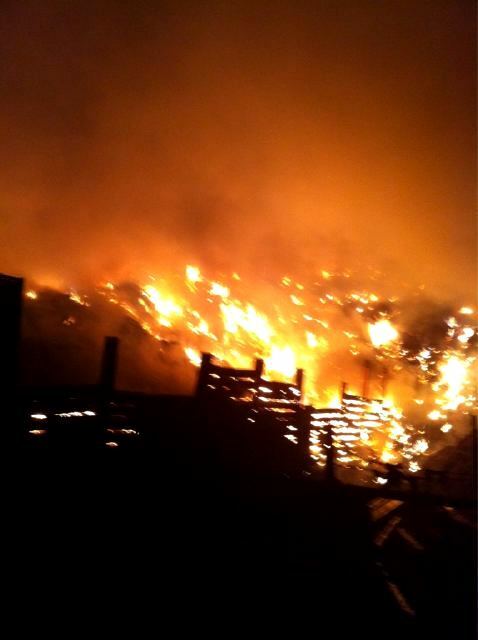 The photo above was taken to accompany this tweet: Kingswinford fire ongoing. I've now left the scene, down to 8 engines. 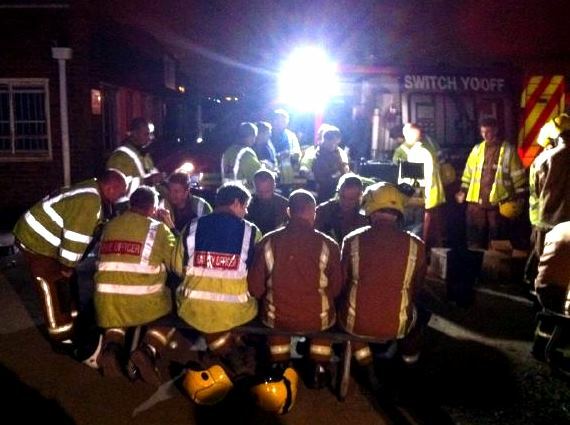 Hard working firefighters grab a break http://t.co/0TcGPU (24 April, 3.26am). Before that: Looks like we'll be in attendance for some time a whole load of rubbish http://t.co/AKosH2 (23 April, 9.56pm). The first tweet: Just in attendance at a 10 pump fire in Kingswinford (23 April, 9.27am). For a professional, but unofficial example form Simon, try this: The modern fire service, what ever happened when we didn't have mobile email? 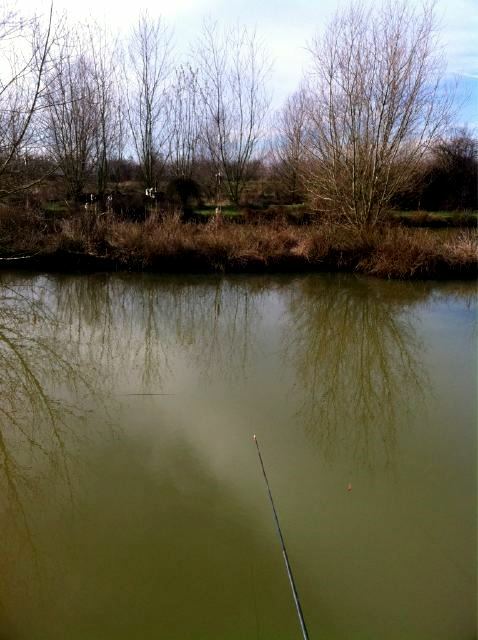 Any spare minute, it's an addiction http://t.co/DPaEV (1 April 12.30pm). I have no idea what makes a great tweet, but one quality may be making something quite ordinary seem timeless and yet comment on the changing world around us. Simon's first ever tweet was: Just joined up! wanted to see what all the fuss is about! not a clue what I'm doing :) (22 Nov 2010, 8.36pm). Simon Shilton as @spshilton has made 1,481 tweets, follows 131 and has 140 followers. Great work - keep it up. By contrast, Warwickshire Fire and Rescue have one Twitter account @WarksFireRescue which is from the service not individual officers. I will search for others. The new Warwickshire Policing Model comes into operation on Monday 9 May 2011. There will be 33 Safer Neighbourhood Teams (SNTs) throughout Warwickshire - not one of them has a Twitter Account to embrace a community. There are over 1,000 Warwickshire Police Officers and PCSOs - not one of them has an Twitter Account. If there are any - I cannot find them. I've been looking for the last four months. In 1827, when Sir Robert Peel said that, he didn't mention Social Media either - had he known about Twitter, I am sure he would have included it in his statement. 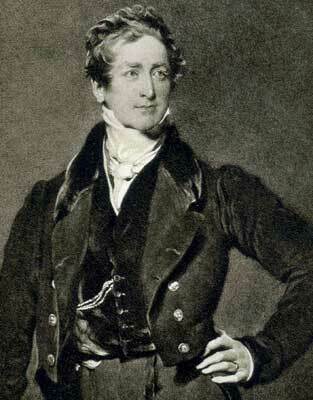 I like to think the chain from his waistcoat is attached to a Blackberry or an early iPhone. And I will do the rest by contacting all 33 safer Neighbourhood teams and seeing who is first Officer or PCSO to join this project. I understand NO ONE wants to be the first person from Warwickshire Police actively using Twitter to Tweet From The Beat. West Midlands Police neighbour Warwickshire and have over 200 Twitter Accounts. The next post in this project will feature some key West Midlands Police twitter accounts, explaining how they are used in the community they serve. My theory is - if the people ask, the authority will listen and provide. The cost for this service is zero - computers and smart phones are everywhere. The tipping point is attitude not resource. I am very keen to open a conversation with you Re: Warwickshire Police and the use of Social Media. 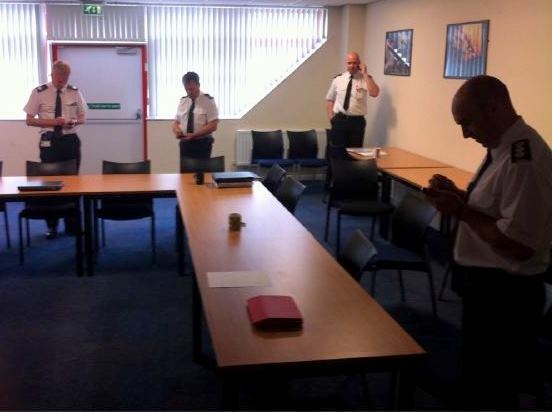 As hyperlocal digital media, we have been working with West Midlands Police with Twitter and Twitcam (real time video). However, NO ONE from Warwickshire Police is using this Twitter or any (as yet). 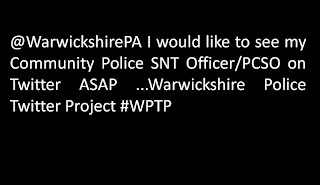 There are twitter accounts, but only generic forms like @warkspolice and @WarwickshirePA. From attending the Police Authority meeting at Shire Hall yesterday, we understand there no plans are for any more social media use. This comes at a time when there are cuts and some safer neighbourhood team offices have yet to be decided. In my view, there has not been a better time for officers and PCSOs to open a twitter account and embrace their community. To prove this, I intent to invite the public to make their voices heard on how they choose to communicate with their Police Force. Community Forums that are held every three months and inadequate in this digital age. Three weeks ago these photographs were taken showing 100 metres of missing (or ripped) wooden fencing. This is the far field at Castle Farm Recreation Centre in Fishponds Road where football fields meet open countryside. Many dog walkers and ramblers pass through the kissing gate each day. There is one burn patch on the grass which may of been evidence of a fire. Is this where the missing fencing ended up? And now today (23 April), these photographs show how the council have replaced the missing fencing with metal and barbed wire. This time, it seems, large fencing posts and panels have been burned where only ash and blackened wood remain. Warwickshire Fire and Rescue Service have attended this scene three times in the past week. But it does not end there, fencing panels have also been removed from another fencing area behind a line of trees. There are three other smaller fire sites showing burnt catalogues, beer cans and timber. Warwickshire Police and Fire, as well as local Councillors have been contacted in preparation for the Easter weekend when this area will be busy with walkers and children. It is too early to say why these fires have happened but Warwickshire Fire and Police are running ASBIT awareness this summer. If you know anything about this issue, leave a comment below or email. What's in the Warwickshire County Boundary - Do you know the limits? With news this week that Coventry Airport is to be developed, it's important to know that the site is in Warwickshire - not the West Midlands. Now that whatsinKenilworth.com is County wide - how much do you know about Warwickshire? The University of Warwick is half in West Mids, half in Warwickshire. And finally, the fatefully overloaded Catthorpe M1/6 Interchange is in Leicestershire. Explore the map and find out more. Warwickshire Police (along with other forces) are always in the news so when I read a Twitter message, Full Police Authority meeting 9.30 am tomorrow at Shire Hall, Warwick. Members of the public welcome - I wanted to find out more. The meeting is not listed at the usual WCC calendar, rather it's at the Warwickshire Police Authority website. That's understandable, but if something is public - then it's public isn't it? All I know is, it's happened many times before when public meetings are held and no public turn up. Hopefully, a post like this may just awaken the curiosity of the people who like me, want to find out more. In this electronic age, a meeting agenda is freely available on the web for most meetings well in advance of the agreed date and time in person. This allows everyone to read, digest and prepare questions. However, an observer cannot ask questions in the meeting - just listen along and take some notes. The Warwickshire Police Authority Agenda document (that you can see above) is 52 sheets of paper. Part of the meeting is exempt which excludes members of the public, page 2). In this one, there are twenty sections. As is usual in posts like this, I will give a narrative and you can read the documents yourself - just click the links. So, the meeting started promptly at 9.30am on Wednesday 20 April 2011. Of the 37 people in Committee Room 2, Shire Hall, Warwick were members of the Warwickshire Police Authority, Warwickshire Police, Warwickshire County Councillors, one reporter from a local radio station, Mike Downes from whatsinKenilworth.com and that's it - not one member of the public. Would the public find this room intimidating? Possibly, yes they would. Is that a reason for no public attendance? No, not in my view. My advice, it takes a minute or two to be settled and comfortable - please attend and see for yourself. After the announcements, apologies, declarations and minutes of the previous meeting come the reports. 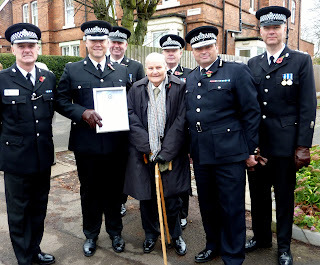 The new Neighbourhood Policing Model which will come into operation on Monday 9 May 2011was first on the list. This will see the network of 33 Safer Neighbourhood Teams (SNT) and a Neighbourhood Protection Team (NPT). Each SNT will have a Beat Manager (Police Constable), Police Community Support Officers (PCSOs), Special Constables and Volunteers. Of the fourteen SNT office locations, six have still to be decided. It was suggested that Retained Fire Stations may provide an office in some cases (It has now been confirmed that Kenilworth SNT will be based temporally at Leek Wootton before moving back to the new Kenilworth Public Service Centre in July 2011). The next report addressed Police Community Support Officers. PCSO numbers will be reduced from 135 to 121 from 9 May 2011. There are 24 current powers, 21 discretionary powers and 21 offences for which PCSOs may issue penalty notices for. I am not reproducing them all here, just open the link. A question was raised asking whether these powers are sufficient. Chief Constable Keith Bristow made it very clear that the more powers a PCSO has would be proportionate to the number of PCs there are. In other words, more PCSO powers equals less police officers and less PCSO powers equal more officers (all to do with funding). The WPA Policing Plan 2011/14 is in the first draft (39 page document) and with final draft presented on 25 May. WCC will continue with quarterly Community Forums for each SNT. I will be posting much more about Community Engagement over the next few weeks. The table on the right shows a total of 2,080 staff (924 officers, 136 PCSOs, 779 staff and 241 volunteers within Warwickshire Police. A General Report of the Chief Constable was the last public item on the agenda which commented on the success of the Royal Visit, awards, governance, voluntary redundancy (offered to all police staff). WPA has to reduce it's spending by £22.9m by 31 March 2015. This meant the Chief Constable has agreed the implementation of Regulation A19 (page 5). The next scheduled meeting of WPA is Wednesday 28 May 2011 at 9.30am which will be the Authorities AGM. It is not until you have sit in a room for two hours like this until you get an idea of who the Warwickshire Police Authority or Warwickshire County Councillors actually are. Without being there, it's impossible to see how the Warwickshire Police Senior Officers act (they well spoken, polite and approachable by the way). I would recommend attending a meeting like this - even if only once. As always, this post is open to comments. At a Warwick District Council meeting last night at Leamington Town Hall (20 April 2011) details were given making a Kenilworth Public Service Centre or Kenilworth Civic Centre a reality. The District Council have put in a successful bid to buy Kenilworth Police Station with the purchase expected to complete by 5 May 2011. Planning permission will be submitted by 26 April 2011 - all going well, the new Kenilworth Civic Centre could be open by July 2011. The building will be home to Kenilworth Town Council, Jeremy Wright MP, PCT and the Kenilworth Police Safer Neighbourhoods Team. Further plans will also include building a new theatre on the land between Kenilworth Library and the Police Station. 'I know that you will be interested in the progress we are making to deliver the first stage of the Kenilworth Public Service Centre project. A price for the purchase of the Police Station has been agreed with the Police Authority and we are working to achieve completion of purchase by the 5th May. Discussions with the Police also include provision of a lease back on some of the property for the Safer Neighbourhood Team. Kenilworth Town Council has agreed in principle but subject to a number of matters of detail that they will move to the new premises probably by the end of July 2011. We expect the MP to move over a similar time scale. Discussions with the County Council and the PCT on the other pieces of land continue but are not essential to the relocation of the Town Council and the vacation on the Wilton House site. 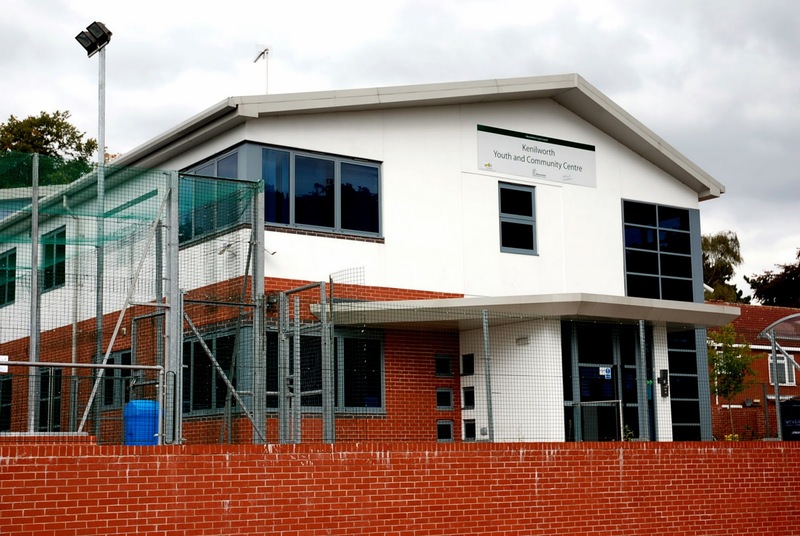 A planning application seeking the change of use of the Police Station building has been submitted with the hope that it can be determined by the end of May 2011. The planning application for the redevelopment of the Wilton House site is on the agenda for the Planning Committee of the 26th April 2011. If agreed, this will then see a scheme providing extra care housing and a new senior citizens club be built over the next year. Using the new SCAPE framework for contractors, officers have arranged for Mansell to visit the site to agree a scope of works (which don’t need planning permission) with the intention that once the completion is achieved we will be in a position to start works immediately afterwards to make the building suitable for occupation by the Town Council, the MP and the Police and Senior Citizens Club. With a fair wind behind us we ought to be able to see the new premises open for business by the end of July 2011. After that we will then focus on the second and bigger phase which we know even all being well but going through the procurement process it could take 3 years to start on site. Youth Service Public Meeting - Councillor Timms where were you? The meeting was attended by about thirty people drawn from the public, police, youth service workers, councillors, and of course young people themselves. Peter Hatcher was the only person representing the County Council. It seems it wasn't the first time Lead Portfolio Holder for Children, Young People and Families Councillor Heather Timms was absent. Apologies were made and someone from the County was expected to appear - they didn't. Peter Hatcher presented the reasons behind Facing the Challenge, Transforming Youth Services in Warwickshire without any slides or screen to watch. Just him at the front completely on his own. For those of you who do not know, an officer like Peter Hatcher (PH) did not make the decisions to close Youth Centres and cut back the service. It was made by elected members in the cabinet. Questions came from the audience. Why has this been rushed with consultation closure on 16 May? To coincide with the new academic year. There were many concerns over finance, funding, charities, CRB checks and business links which will effect the progress of youth work. PH nodded, agreed and said what he could which was citing policy and guidance - only speculation on the future. What happens when the grant funding dries up? Complicated questions followed on asset transfer clauses, conversion to freehold, periods of notice. Most of which I do not even pretend to understand. The mood in the room was tense but not quite hostile. Someone said it felt like all the decisions had been made and the premises will cease. 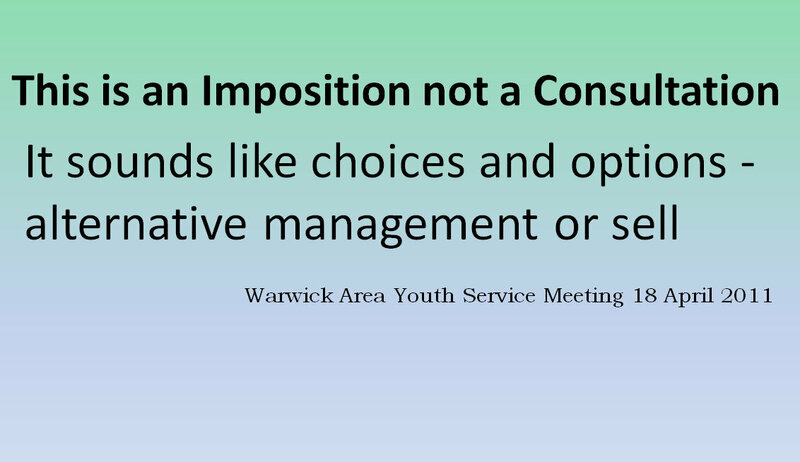 Another commented it was an imposition not a consultation. And another, it sounds like choices and options - alternative management or sell. PH made a comment about County trying to be open, transparent and honest. No one in the room was buying into that. Apparently, Councillor Timms was at another meeting in Rugby that night (as I have just learned). Holding two roles in different councils cannot be sensible when such serious cuts are planned - can it? Please attend this meeting to show your support to The Kenilworth Centre (and all the other Youth Centres) under threat of closure. A series of public events to consult local people on the future shape of youth services in Warwickshire get underway. The events are part of a wider consultation asking for people’s views and comments. The consultation will run until May 16 and will give local people the chance to have their say on youth centres in their communities. On Monday, 11 April at 4.53pm a document was created by WCC called Business Case for Community Library or Community Run Library Services which is an eight page application form to be completed. It is produced in as it outlines some important issues that a Community may face. In my view, it reads like a pitch to Dragons' Den with Colin Hayfield, Kushal Birla, Ayub Khan, Linda Smith and David Carter sat in the now famous chairs. For those people who think I am joking - I am not. At the Dunchurch Meeting, these five people were sat in front of the public. So, what happens if take the dry throated walk up the stairs and make your pitch? You know you are holding the fate of your Community Library with you as you begin. The threat of closure looms over your village and this is the Once in a Lifetime Opportunity that Warwickshire County Council have promised. WCC Libraries FAQs for a Business Case - Franchise Opportunity? It is produced in full here as it outlines some very clear issues what a Community may face. In my view, it reads like a business franchise opportunity. But with any business, there are products or services to sell - but with a library you cannot charge for the loan of a book - it's the law (Public Libraries and Museums Act 1964 No8 Restriction on charges for library facilities). So, imagine Tesco having to give away all food and drink and only being allowed to charge for CDs, DVDs and the odd cup of coffee. Simplistic, I know but that's what we have here and County know it. The post made yesterday Warwickshire Libraries WCC Proposal v Two Alternatives had one data error. This has now been corrected now showing Stratford Library with cuts of 18% (not 6% as stated yesterday). I am very grateful for a reader contacting wiK with this observation. Today is Day 25 (of 84) of the Consultation. At the last Public Meeting (Dunchurch), WCC Libraries showed a few slides with some statistics, but have never produced one visualisation. By that I mean a bar chart or a graph. As humans, we think in pictures. It helps us understand the world. And for that reason, I have produced 19 Facing the Challenge Charts, 11 Library Online Statistics Charts, 4 Meeting and Roadshow tables and 36 other Library posts at this site. I now believe the Warwickshire People are being misled and WCC are failing to provide all the information to as many people as possible so they can understand the issue. Coming up with this £100,000 three weeks into the process is one example of that. For this reason, I have emailed County and offered all of my charts for their use - so far, they have not replied. I simply said, if my data is accurate - then can we ALL not use it? Dunchurch Public Library Meeting - What Happened Last Night? Dunchurch has a population of 7,589 which is (nine times smaller than Rugby). More than 100 of them were gathered in a school hall to hear the fate of their library. This was Public Meeting 4 (of 23). Public Meeting 3 in Bulkington produced so many private emails raising questions to County - I couldn't post on this site for a week. That's over and now I'm back. I also attended the Wolston and Lillington Roadshows to gather information - it opened up more questions than answers. At 7pm, Councillor Robin Hazelton opened the meeting and received a petition from the local people. Councillor Colin Hayfield then talked through a few slides including how Dunchurch Library had only 1% of all Warwickshire library visits. That's true, sounds terribly small doesn't it? This 1% is 25,452 visits a year or 20 visits an hour. At 7.22pm, it's questions from the audience. Jeremy Wright, the local Member of Parliament addressed the room to clarify four areas of understanding:, Pro-active suggestions and advice (where WCC will work with the people), Building and lease issues, activities in Dunchurch that may compete with the library and Professional staff to assist volunteers. These were answered by Colin Hayfield (CH) in a positive way. I'm providing a narrative and not blow by blow minutes of the meeting. Over the next hour, there were a minimum of thirty large questions. Each large Q was often broken into many smaller ones. Here are some highlights. Early questions were, This does not sound like a proposal - more like telling us our library will close. Robin Aird spoke of the statistical data versus the value a library has in a community - you cannot measure that in numbers. He has a point. Rugby (as a town and as a library) was mentioned as many local people felt Dunchurch was being unfairly penalised as it is so close to Rugby. A gentleman (who may have been the local Reverend) made a brilliant point that some libraries areas that are not closing should help level the pain that Dunchurch and others are feeling. Which means no closure equals no effort whereas a closure (there are 16 remember) means a community will be put under terrific strain to deliver a solution. CH reiterated, if a building is vacant, it will be sold at a the best possible price. A gentleman on the front row (who was full of many inspired ideas) suggested building flat above the Dunchurch library, rent it out - revenue goes straight back to fund the service. CH: We can certainly look into that - it may stack up. Tricia Knowles from Dunchurch Parish Council asked CH why the Business Plan Template was still unavailable. Yes Tricia, I am still waiting to see one of those and it's now Day 20 (of 84) of the Libraries Consultation. Ideas were now flowing. Q: So we need to find £34,000 a year in a population of 7,589? CH: Yes So, why not charge each person £4.52 a year, problem solved. Another Q: Arts and Culture are easy targets, you should examples of solutions. Q: If it is £34,000 - then for WCC Libraries, that is a small amount, why don't you just find it!? It's 8.15pm, some people are drifting away - perhaps they've seen enough. Jeremy Wright goes back to the idea of a peppercorn rent and how that will help. He stressed to CH that County should make a policy decision to be made very clear before the consultation ends (9 June). Colin Hayfield repeated the fund of £100,000 available to help local communities set up a library. So, if all 16 libraries applied for it, that would be £6,250 each. This can be used for anything. By the way, a self serve automated booth costs £2,000 (and then costs £600-800 a year to maintain). UPDATE: WCC have confirmed (in FAQs No 11) the kiosks will cost £11,000 plus £1,300 per year to maintain (exclusive of VAT). The Kindle and iPads were mentioned along with the Print Book versus Virtual eBook debate. Cultures are changing where electronic devices are not considered as luxuries any more. WiFi is abundant and broadband is the norm - if County can do one thing right, it will be to research the future of libraries. And if you are not sure what that is - you're looking at it right now. Chances are you are reading these words on a screen and not on paper. 8.48pm Meeting Close. Next Public Meeting is Bedworth Heath (11 April) and Keresley (12 April). There are six Conservative MPs in Warwickshire - many who are helping local groups save the sixteen libraries at risk of closure. I know of three (Dan Byles, Jeremy Wright and Mark Pawsey) who are active. The other three - I am yet to hear from. This table serves as a guide to your local library, if it's highlighted - it's at risk of closure. Dan Byles in North Warks, has 6 (of 10) libraries that may close. Both Jeremy Wright and Nadhim Zahawi have 3 (of 6), followed by Marcus Jones and Mark Pawsey with 2 (of 4). • Warwickshire County Council is setting aside a one-off capital fund of £100,000 to support communities in the setting up their community library. • Where the Council accepts a community library business case, and the library building is owned by the Council, it is prepared in principle to lease the premises to a Community Group at a peppercorn rent for an initial period of one year. • After that, subject to annual review of the services being provided, the lease may continue at a peppercorn rent, or at less than market value, for a period of up to 5 years in total. • At the end of the 5 year period, a full market rent will be payable. • The tenant will be responsible for all repairs from the outset. • Buildings offered at a peppercorn rent for the first year and then reviewed every year for the first 5 years after which the building would have to be paid for at the market rate.